Bungalows de merde avec moule d'owerpainted, qui a créé un parfum intense. Thai Ayodhya Villas & Spa is a place where business executives can hold exclusive meetings and still find time to unwind. The Resort has modern facilities for business and pleasure, all backed by the courtesy and hospitality of the well-trained staff for whom total guest comfort is the highest priority. Near the Resort, there are waterfalls, ancient Wats, a butterfly farm and much more. There is no shortage of sights, both historical and natural. On the east coast of the island, Chaweng Beach is where backpackers flock for the full moon parties and frantic nightlife. But Thai Ayodhya Villas & Spa is a world apart from that. Indeed, Thai Villas Resort & Spa has drastically altered the island's image. Koh Samui is fast becoming a celebrity locale for those in pursuit of elegant lifestyles. The signature pool is another touch of paradise furnished by Thai Villas Resort & Spa. Imagine by the side beach, sights of the Gulf of Thailand. Enveloped in coconut trees this island sanctuary is the ideal place to escape to for a weekend, a week, a month or more. Interior Design The Resort's rooms are decorated in traditional Thai style with wood finish, combined with all the modern amenities required to make comfort supreme. Villa The villas are spacious and reflect the rich traditions of Thai culture. Interiors range 1 bedroom,1 restroom, and 1 living room with private terrace. The Villas have access to all the services and facilities provided by the Resort. Thai Ayodhya Villas & Spa is set on 6 acres of land descending to the front beach offering a remarkable view. The Resort has been elegantly designed to assimilate with the local environment and culture. 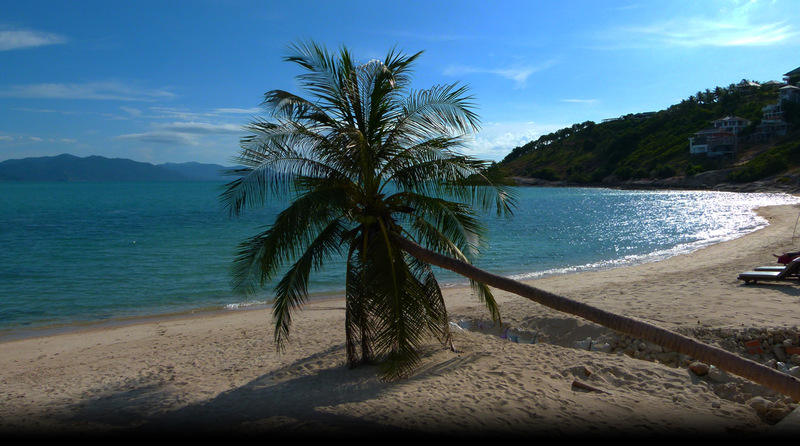 Its home, Koh Samui, Suratthani, is Thailand's third largest island, one which offers both tranquility and adventure. We welcome you to our tropical paradise, where you will find yourself in the lap of luxury for as long as you like! If it's Thai beauty, luxury, and genuine hospitality you seek, you've come to the right place! The Villas are spacious and reflect the rich traditions of Thai culture. The rooms are decorated in traditional Thai style of wood finish, combined with all the modern amenities required for supreme comfort. Lots of variety to choose from: 70 rooms in 3 different categories. Each room interior consists of one Living Room, one Bedroom, one Bathroom with a separated Shower and a private Terrace. Sea view & Garden View (Upper & Ground level). Thai style house with Terrace / Balcony, separate Living and Bedroom and Toilet and bathroom. Upper and Garden level. Maximum persons in room 2 adults & 1 child or 3 adults. Garden & Sea View (4 floor Building Complex) with lift 27 units. Maximum of persons allowed 3 adults 1 child or 2 adult 2 children. Large Suite with living room, 2 Bathrooms, 1 Bathtub, 2 separate Showers, Bedroom with 1 double Bed and 1 single Bed. Terrace or Balcony. Restaurant: The Thai Ayodhya Villas & Spa offer one of Koh Samui finest International food and Thai Cuisine, to suite the best taste during your stay. Is ideal for romantic diners watching the sunset across Lamai bay. Opening 6:30 a.m. until 10:00 p.m.
Spa & Sauna: Thai Ayodhya Spa Relax in a complete additional privacy of your life. Meeting faculty: Ideal facility for small executive seminar and meetings for up to 40 - 50 quests.